cryptosporidium, and giardia from any tap water. Insulated Stainless Steel Designed to keep water cold for up to 24 hours. Transform ordinary tap water into clean, extraordinary water wherever you go. Use with municipal tap water only. Naturally occurring minerals in your water like Calcium, Potassium and Magnesium are retained by our selective filtration, leaving you with healthier, delicious water! Each filter replaces over 600 plastic water bottles from entering the environment. The filter housing and other parts are BPA free. After soaking the replacement filter, simply attach, fill and drink! It's that easy. One cartridge filters 80 gallons. At $15, you pay only a fraction of the cost of bottled water. Flip Top New easy open/close flip top secures your water. Cap Ergonomically formed with improved spout for easy dispensing. Comfortable carry loop included. Filter/Cage Designed for maximum surface contact within protective cage. Sleeve The weave design provides protection, gripability and a little swagger. What can I use my Aquasana Bottle for? The Aquasana bottle can be used to store cold water for up to 24 hours and to improve your water's taste and color by reducing chlorine, bacteria, viruses, as well as heavy metals. What is the capacity of my Aquasana Bottle? The Aquasana Bottle can hold 17oz of cold water with the filter installed and 20oz without the filter installed. Can my Aquasana Bottle be refrigerated or frozen? Can my Aquasana Bottle be microwaved? Putting your Aquasana Insulated Bottle in the microwave will damage your bottle and your microwave. DO NOT use in your microwave. How should I wash my Aquasana Bottle? How should I store my Aquasana Bottle? After air drying, your insulated bottle should be stored with the lid off to maintain freshness. What is my Aquasana Bottle made of? What does the warranty cover on my Aquasana Bottle? 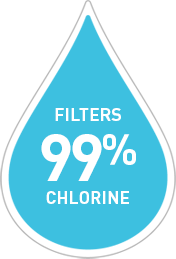 How often will new filter be shipped on the water for life plan?